In a very rare (if not perhaps the first) appearance by a non-UK orchestra in the London Handel Festival, the Lyon-based Le Concert de l’Hostel-Dieu and their director Franck-Emmanuel Comte and mezzo-soprano Giuseppina Bridelli highlighted a particularly turbulent period of British musical history, between 1733 to 1737. The theme for this year’s London Handel Festival (LHF) highlights the rivalry between the female singers that Handel composed for. 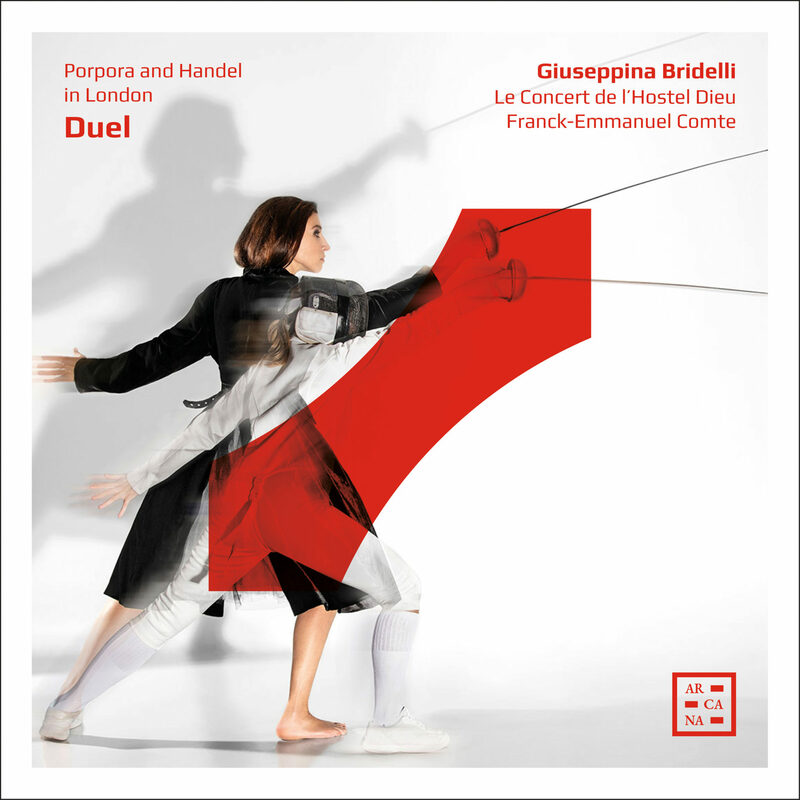 In contrast, this concert highlighted the rivalry between Handel himself and the Italian composer Nicola Porpora. In 1733, after yet another clash with Handel, the star castrato Senesino resigned from Handel’s opera company and joined the new Opera of the Nobility, set up by the Prince of Wales in opposition to his father, George II, who supported Handel’s Royal Academy of Music. Porpora was invited to be the musical director of the new company. Their first opera was Porpora’s Arianna in Nasso, as a direct challenge to Handel’s Arianna in Creta. Despite having poached most of Handel’s key singers, such as Cuzzoni and Montagnana, the Opera of the Nobility went bankrupt and was dissolved in 1737. Handel’s own company suffered a similar fate, and the rump of the two opera companies combined for the 1737-38 season. The weakest musical moment, from a composing point of view, was Porpora’s rather predictable four-movement Sinfonia da Camera (Op.2/5). But the extracts from his operas suggested a composer of real note and a worthy teacher of Hadyn. This was amply demonstrated in two extracts from his Polifemo, the powerful Il gioir qualor s’aspetta and Alto Giove, with its tremolo strings over a plucked bass line and Giuseppina Bridelli’s voice emerging from the orchestra in a messa di voce and demonstrating some excellent da capo elaborations and ornaments. A sequence of very French Suites de ballet that Handel composed for Ariodante for the Marie Sallé French ballet troupe to perform opened the second half, the contrast between the Entrées des songes agréables, des songes funestes, anddes songes agréables effrayés; and the final Le combat des songes funestes et agréables were explored well by the instrumentalists, whose energetic and sensitive playing had been a feature of the evening. Particular mention must go to Florian Gazagne for his beautifully gentle bassoon solo in Handel’s Scherza infida (from Ariodante) and very lively recorder playing in the bucolic Tamburino from Handel’s Alcina. Scherza infida also shown the sheer beauty and sensitive expression of Giuseppina Bridelli’s voice when not at full belt. It was the highlight of the evening for me. I had been impressed with Le Concert de l’Hostel-Dieu during last year’s London Festival of Baroque Music withtheir fascinating contrast between Couperin’s Leçons de Ténèbres and South Indian Râgas, reviewed here. This concert reinforced my enthusiasm for their innovative programming and excellent playing, directed with commendable restraint by Franck-Emmanuel Comte. It was nice to have a concert shortly after releasing a CD that did not merely run through the CD pieces in order. The recording includes some pieces not heard during the concert, and is thoroughly recommended.